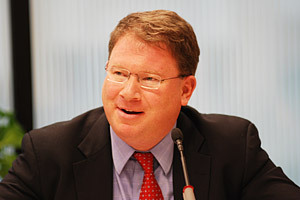 Jeffrey Goldberg is a well-known journalist and blogger who writes for The Atlantic and Bloomberg View. A former Israeli soldier and a veteran American journalist, Goldberg has deep ties to both the Israeli and American political establishments. He has been characterized by the New York Review of Books as "the most influential journalist/blogger on matters related to Israel" and by an Obama White House aide as the “official therapist” of the U.S.-Israel relationship. The piece, in which Goldberg also described U.S.-Israel relations as having reached a “full-blown crisis,” forced Secretary of State John Kerry to phone Netanyahu in an effort to distance the White House from the alleged comments. Goldberg has been affiliated with a number of other media outlets over the years, covering various beats for the Washington Post, the New York Times Magazine, and New York Magazine. He has also worked as bureau chief for the Forward and as a columnist for the hawkish Jerusalem Post. Before joining The Atlantic in 2007 he was based at The New Yorker. Generally characterized as a liberal hawk, Goldberg tends to espouse a hawkish view of the Middle East, often arguing that the threat of U.S. military force is critical to American foreign policy in the region. He was an early supporter of the Iraq War, has urged a more interventionist U.S. policy in Syria, and has long supported the threat of military action against Iran over its nuclear enrichment program, though he has also expressed varying degrees of support for advancing sanctions and diplomacy in lieu of force. One of Goldberg's favorite subjects is Israel, where he spent his college years serving as a prison guard in the Israeli military. Goldberg reiterated his views in a 2014 obituary for Ariel Sharon, the late Israeli prime minister who rose to prominence as an aggressive military commander but decided in 2005 to remove all Israeli settlers and military personnel from the Gaza strip (although Israel has subsequently maintained tight control of Gaza's borders, air space, and sea coast). "Sharon, through the same force of will that propelled him heroically across the Suez Canal, and sent him deeply and disastrously into Lebanon, did something hugely important for his country: He began to disentangle Israel from the lives of the Palestinians," Goldberg wrote. "Settlers will never return to Gaza. That is an achievement." But, he added, "Continued settlement of the West Bank, and continued entanglement of Israel in the lives of millions of Palestinians, will eventually be his country’s undoing. A way out must be found." Despite his criticism of the occupation, Goldberg has staunchly defended many of Israel's most controversial actions, including its 2014 attack on Gaza, which killed well over 1,000 Palestinian civilians. Blaming the conflict on Hamas, Goldberg claimed, "What Hamas wants most is not a state in a part of Palestine. What it wants is the elimination of Israel. It will not achieve the latter, and it is actively thwarting the former." Even as Israel bombed hospitals, mosques, thousands of private homes, and UN bomb shelters, Goldberg blamed the conflict's rising and lopsided civilian toll on Hamas. "Hamas is trying to get Israel to kill as many Palestinians as possible," he wrote. "Dead Palestinians represent a crucial propaganda victory for the nihilists of Hamas." Goldberg's column led the Electronic Intifada's Ali Abunimah to call him "one of the most prominent defenders of Israel’s bombardment that has killed more than one in every one thousand Palestinians in Gaza." Abunimah also took the occasion to allege that as a prison guard in Israel, Goldberg had "participated in and helped cover up the torture and abuse of Palestinian prisoners," linking to an excerpt from Goldberg's book Prisoners in which Goldberg recounted watching a fellow soldier brutally beat an unarmed captive and then lying to a superior about what he had witnessed. In October 2015, amidst a new wave of violence between Israelis and Palestinians in Jerusalem, Goldberg wrote a column exclusively blaming the Palestinians for the bloodshed. “[W]hat might be the actual root cause of the Middle East conflict [is] the unwillingness of many Muslim Palestinians to accept the notion that Jews are a people who are indigenous to the land Palestinians believe to be exclusively their own, and that the third-holiest site in Islam is also the holiest site of another religion, one whose adherents reject the notion of Muslim supersessionism,” he wrote. Notwithstanding his own occasional criticisms of Israeli policies, Goldberg has frequently attacked critics of the U.S.-Israel relationship, sometimes disparaging them as anti-Semites. Some of Goldberg's critics argued that by accusing his rivals of anti-Semitism, Goldberg was attempting to insulate himself from charges that he was too close to Israel to write objectively about U.S. policy in the Middle East. Like his writings on Israel, Goldberg’s columns on Iran—which fluctuate between urging tougher action against the country and calling for restraint—often receive considerable attention because of his access to high-level officials in both Israel and the United States, which has included exclusive interviews with both Israeli Prime Minister Benjamin Netanyahu (2014) and U.S. President Barack Obama (2012). Goldberg tepidly supported the nuclear agreement reached between Iran and the P5+1 world powers in July 2015. “I worry that Obama’s negotiators might have given away too much to the Iranians. On the other hand, Netanyahu’s dream—of total Iranian capitulation—was never going to become a reality,” he wrote at the time. In the same piece, Goldberg stated he would potentially support military strikes against Iran’s nuclear facilities if he believed they would effectively destroy the country’s nuclear program. “If I thought that preventative war—air strikes against Iran’s three or four most important nuclear facilities—could have led to the permanent de-nuclearization of this anti-Semitic terror state, I might have considered supporting such a notion.” he wrote. Earlier, in the September 2010 issue of The Atlantic, Goldberg published a widely reviewed article considering the plausibility of a unilateral Israeli strike on Iran’s nuclear facilities, arguing that there was a better than 50 percent chance of such an attack by early 2011. Based on dozens of interviews with Israelis in and out of government, the article, titled “The Point of No Return,” went to great pains to convey the psychology of the leadership in Israel—particularly Prime Minister Benjamin Netanyahu—as it debated what to do about Iran’s nuclear enrichment program. Despite the overwhelmingly negative potential consequences of an Israeli attack, Goldberg argued, Israel would feel obliged to make an attempt to destroy Iran’s nuclear facilities because of the perceived existential threat of an Iranian nuclear weapons arsenal, and the Israeli leadership’s lack of faith in the Obama administration’s claim that “all options are on the table” to prevent Iran from acquiring the bomb. Israel considers Iran "the gravest threat since Hitler to the physical survival of the Jewish people," Goldberg wrote. "They will not be asking for permission" to strike Iran. Goldberg has criticized the Obama administration for its reluctance to intervene in Syria's civil war, faulting the White House for not aggressively arming rebel factions fighting against the Syrian regime. "If [Obama] hadn’t vacillated early on [in his] support for Syria’s rebels (who weren’t always this radicalized), we might be facing a slightly different situation today," Goldberg wrote in 2013, attributing the rise of radical Islamists among Syria's rebel groups in part to the Obama administration's lack of support for other factions. In 2002, as neoconservatives and other foreign policy hardliners were gearing up to push the United States into war with Iraq, Goldberg published a high-profile article in the New Yorker entitled“The Great Terror,” which spotlighted the case for invading the country, in part by using discredited sources—both in Iraq as well as in the George W. Bush administration—to argue that Saddam Hussein was in league with Al Qaeda. Despite the article’s severe flaws—many of its claims proved to be erroneous—it proved influential among war hawks and credulous media outlets. In awarding Goldberg a prize for best reporting on human rights, the Overseas Press Club (OPC) stated: “In this exposé of the crimes of the Iraqi regime, Goldberg described Saddam Hussein's horrifying gas attacks against Kurdish villages, investigated ties between Iraq and al Qaeda terrorists and explored the scope of Iraq's chemical weapons arsenal. Goldberg spent six months on this assignment, often from places that were off limits to western journalists. A former CIA director, James Woolsey, called the story ‘a blockbuster.’” The OPC neglected to note that Woolsey was one of the key neoconservative proponents for attacking Iraq. Michael Massing, "The News About the Internet," New York Review of Books, August 13, 2009, http://www.nybooks.com/articles/archives/2009/aug/13/the-news-about-the-internet/?page=2. Ali Gharib, “Iran’s Anti-Semitism: Irrational or Irrelevant?” LobeLog, May 27, 2015, http://lobelog.com/irans-anti-semitism-irrational-or-irrelevant/. Eamon Murphy, “Chickenshitgate: A dissenting view,” Modoweiss, November 5, 2014, http://mondoweiss.net/2014/11/chickenshitgate-dissenting-view. Jeffrey Goldberg, “The Crisis in U.S.-Israel Relations Is Officially Here,” The Atlantic, October 28, 2014,http://www.theatlantic.com/international/archive/2014/10/the-crisis-in-us-israel-relations-is-officially-here/382031/. The Jerusalem Post, “Kerry phones Netanyahu to apologize over 'chickenshit' slur,” October 31, 2014, http://www.jpost.com/Israel-News/Kerry-phones-Netanyahu-to-apologize-over-chickenshit-slur-380442. JeffreyGoldberg.net, "About Jeffery Goldberg," http://www.jeffreygoldberg.net/about/bio/. Haim Watzman, "The Hope," The Washington Post, October 29, 2006, http://www.washingtonpost.com/wp-dyn/content/article/2006/10/26/AR2006102601331.html. Jeffrey Goldberg, “Netanyahu Will Not Make Peace With the Palestinians,” The Atlantic, January 29, 2013,http://www.theatlantic.com/international/archive/2013/01/netanyahu-will-not-make-peace-with-the-palestinians/272637/. Jeffrey Goldberg, "Ariel Sharon Never Changed," Bloomberg View, January 11, 2014, http://www.bloombergview.com/articles/2014-01-11/ariel-sharon-never-changed. John Amato, “Jeffrey Goldberg: Netanyahu Speech Like A Republican SOTU Response,” Crooks and Liars, March 3, 2015,http://crooksandliars.com/2015/03/jeffrey-goldberg-netanyahu-speech. 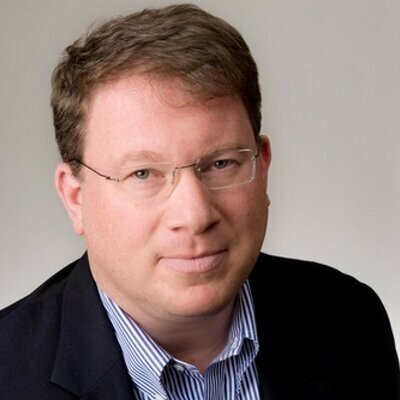 Jeffrey Goldberg, "Is Hamas Trying to Get Gazans Killed?" Bloomberg View, July 11, 2014, http://www.bloombergview.com/articles/2014-07-11/is-hamas-trying-to-get-gazans-killed. Ali Abunimah, "University of Illinois fires professor Steven Salaita after Gaza massacre tweets," Electronic Intifada, August 6, 2014,http://electronicintifada.net/blogs/ali-abunimah/university-illinois-fires-professor-steven-salaita-after-gaza-massacre-tweets. Philip Weiss, “Goldberg says the root of the conflict is the Palestinians’ anti-Jewish ‘narrative,’” Mondoweiss, October 18, 2015,http://mondoweiss.net/2015/10/goldberg-palestinians-narrative#sthash.LZSzl2WW.dpuf. Philip Weiss, “‘Atlantic’ writer provides no evidence for allegation that Harvard professor is anti-Semitic,” Mondoweiss, January 3, 2013,http://mondoweiss.net/2013/01/evidence-allegation-professor.html. Jeffrey Goldberg, “An Explanation of European Anti-Zionism,” The Atlantic, February 28, 2013, http://www.theatlantic.com/international/archive/2013/02/an-explanation-of-european-anti-zionism/273591/. M. J. Rosenberg, “Why Jeff Goldberg Is Losing It," TPM Café, July 23, 2010,http://tpmcafe.talkingpointsmemo.com/2010/07/23/why_jeff_goldberg_is_obsessing_over_stephen_walt/#more. Phillip Weiss, "Jeffrey Goldberg suggests anti-Zionists aren’t Jews,” Mondoweiss, October 28, 2009, http://mondoweiss.net/2009/10/jeffrey-goldberg-suggests-anti-zionists-arent-jews.html. Jeffrey Goldberg, “From Iran to Syria, Obama's Toughness Is Paying Off,” Bloomberg, September 20, 2013, http://www.bloomberg.com/news/2013-09-20/from-iran-to-syria-obama-s-toughness-is-paying-off.html. Jeffrey Goldberg, “Romney's Critique of Obama's Iran Policy,” The Atlantic, October 29, 2012,http://www.theatlantic.com/international/archive/2012/10/romneys-critique-of-obamas-iran-policy/264227/. Ali Gharib, “When Hurting Your Negotiating Position Doesn't Matter,” The Daily Beast “Open Zion” blog, October 29, 2012,http://www.thedailybeast.com/articles/2012/10/29/when-hurting-your-negotiating-position-doesn-t-matter.html. Jeffrey Goldberg, “Don't Be Fooled by Iran's Charming New Leader,” Bloomberg, September 30, 2013, http://www.bloomberg.com/news/2013-09-30/don-t-be-fooled-by-iran-s-charming-new-leader.html. Jeffrey Goldberg, "Obama's Real Foreign-Policy Problem," Bloomberg View, May 28, 2014, http://www.bloombergview.com/articles/2014-05-28/obama-s-real-foreign-policy-problem. Jeffrey Goldberg, “The Single Most Important Question to Ask About the Iran Deal,” The Atlantic, July 14, 2015,http://www.theatlantic.com/international/archive/2015/07/iran-nuclear-weapons-deal-obama/398465/. Jeffrey Goldberg, “The Point of No Return,” The Atlantic, September 2010, http://www.theatlantic.com/magazine/print/2010/09/the-point-of-no-return/8186/. Eli Clifton, “Is Jeffrey Goldberg Trying to Rationalize Another Preemptive War In the Middle East?” Inter Press Service, Lobelog, August 10, 2010,http://www.lobelog.com/jeffrey-goldberg-tries-to-rationalize-another-preemptive-war-in-the-middle-east/. Jeffrey Goldberg, “An Overheated Call for Action Against Iran,” Atlantic, January 3, 2011, http://www.theatlantic.com/international/archive/2011/01/an-overheated-call-for-action-against-iran/68771/. Jeffrey Goldberg, " Five Depressing Thoughts About Arming Syria’s Rebels," Bloomberg View, June 14, 2013,http://www.bloombergview.com/articles/2013-06-14/five-depressing-thoughts-about-arming-syria-s-rebels. Jeffrey Goldberg, “Obama Skips Syria, Focuses on Iran,” Bloomberg, October 23, 2013, http://www.bloomberg.com/news/2013-10-23/obama-skips-syria-focuses-on-iran.html. Jeffrey Goldberg, “The Great Terror,” New Yorker, March 25, 2002, http://www.newyorker.com/magazine/2002/03/25/the-great-terror. Jason Burke, “The Missing Link?” The Guardian, February 9, 2003, http://www.guardian.co.uk/world/2003/feb/09/alqaida.afghanistan. OPC, 2002 Award Winners, http://web.archive.org/web/20071219003630/http://www.opcofamerica.org/opc_awards/2002/awards_2002.php. (Web Archive). Ken Silverstein, “Goldberg’s War,” Harper’s Magazine, June 23, 2006, http://harpers.org/archive/2006/06/sb-goldbergs-war-1151687978.